Pattern is the replica of the device which is the output of casting process. This when molded in sand forms mold. After filling mold with the molten metal there is a formation of casting. Patterns play a very important role in casting as they decide the quality as well as perfection in a particular casting process. 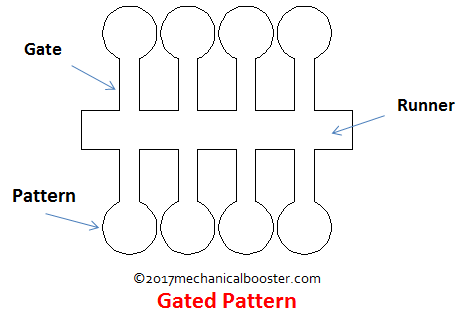 Gates and runners are the most important components in several types of pattern. Pattern is the basic requirement for creation of mold and it is always bigger than the size of casting. There should be a proper selection of pattern so it must be able to sustain rough handling. It forms mold cavity for casting processes. The patterns may be made of metals like aluminium, brass, plaster and wax. • Cheap in cost and have very less weight. • Long lasting and hard. 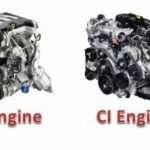 • Industry oriented patterns are mostly designed simple and they are repairable. During patterning processes, to handle any structural problems different allowances are made. These allowances include shrinkage allowances, shake allowances, Draft allowances and finally distortion allowances. • Physical specifications, means size of casting. 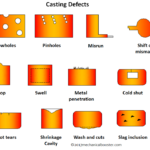 Alos Read: What is Casting Defects – Types, Causes and Remedies? 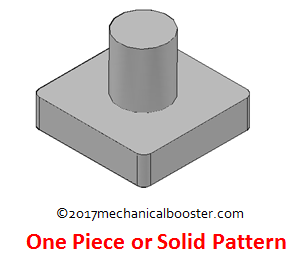 Single piece pattern is the cheapest pattern among all other types of pattern. This pattern generally used in simple processes. It is applied in small scale production. It is often used for the generation of large castings such as stuffing box of steam engine and for creating simple shapes, flat surfaces like simple rectangular blocks. The important characteristic of this pattern is that there is no need of joint in the mold area. In this pattern one surface is considered as flat portion. This flat surface is used for parting plane. Sand tools are used to cut the sand which ultimately make gating system. The molding becomes a difficult task if there is absence of this flat surface. It is expected to lie in cope or drag. Two- piece pattern is also called as split piece pattern. It is the popularly used for intricate castings. The shape of casting decides the exact place of parting plane. This parting plane may be flat or irregular surface. 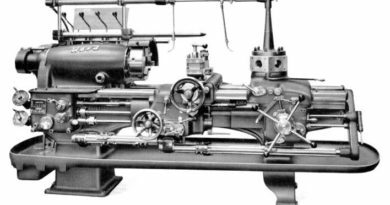 In two- piece pattern half part is always molded in drag and other half part is molded in cope. The cope part of the pattern has dowel pins. These dowel pins are used to align the two halves of split piece pattern. Holes in the drag half of the two- piece pattern match exactly with dowel pins. It is used in applications where it is very difficult to withdraw casting from the mold. Two- piece patterns are used where the depth of casting is very high. 1) It is used in AK-47. 2) It is widely used in steam valves. Sometimes castings have very difficult and complicated designs. In such difficult situations multi piece types of patterns are used. 3 or more patterns are included in multi piece pattern. For instance, if we consider three- piece pattern which comes under multi piece pattern. This three- piece pattern consists of top, bottom and middle parts. The bottom part is drag, top part is cope where the middle part is termed as check box. It is used in various kinds of joints such as mitre joint, dowel joint. 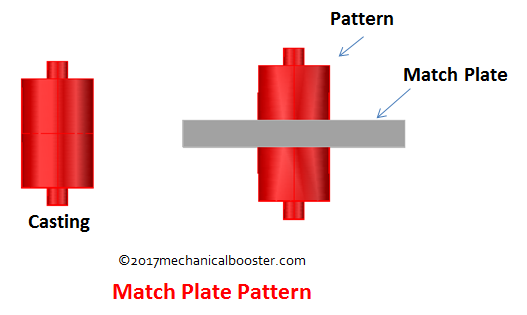 Basically Match plate pattern is a split pattern. Cope and drag areas are on the opposite faces of metallic plate. This metallic plate is termed as Match Plate. This type of pattern requires very less hard work and gives very high output. Because the gates and runners are also on the match plate. 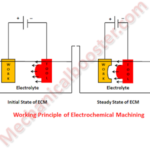 This is used in various manufacturing industries. This is very expensive and gives accuracy as well as high yield. This pattern is widely used for casting metals like aluminium. 2) Multi piece pattern has wide scope in rotor hub. 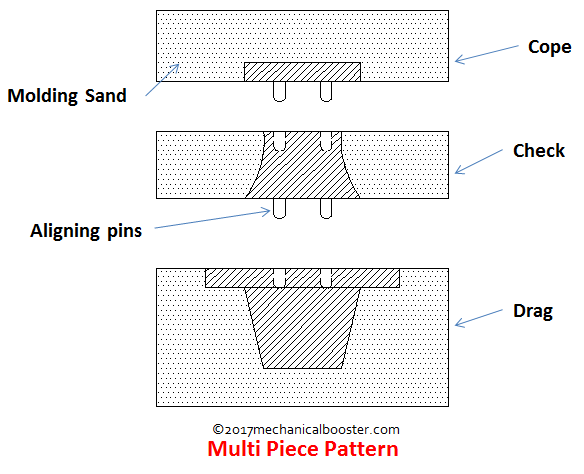 Gated types of patterns are used to make multiple components inside the single mold. Gated pattern is nothing but the pattern consisting one or more patterns. For joining different patterns gates are used. These are loose patterns where gates and runners have already attached. These patterns are very expensive. Due to their high cost they are used for creating small castings. These small castings further are used in molding machines as well as in mass producing processes. Implemented usually in small castings such as corner bracket. Skeleton pattern is used for castings which have simple size and shape. These castings are usually large in size. 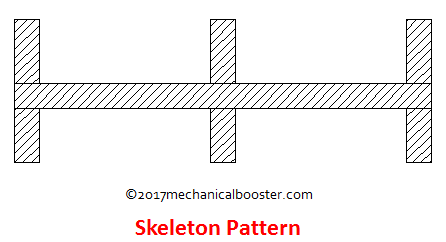 The only disadvantages of skeleton types of patterns are – it is applicable for small number of components and it is not cheap. Economically, it is not the best pattern. Stickler is used to remove extra sand. These are nothing but frames of wood that highlight the area which is to be cast. These patterns also help molder. They are widely used in process of pit or floor welding. 2) In daily applications such as water pipes are mostly designed with the help of skeleton pattern. In sweep pattern we make use of wooden board. This wooden board of proper size is to be rotated about one edge to shape the cavity as circular or rotational symmetry. 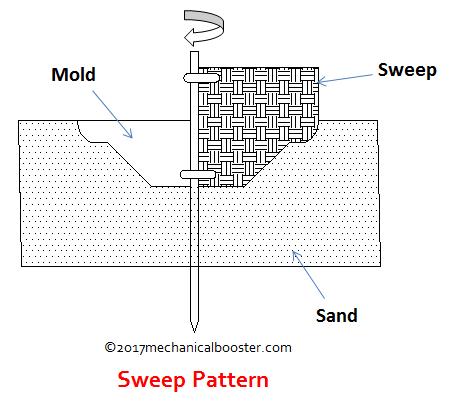 Sweep pattern is often used when we have to create casting in very short interval of time. Molds of extensive symmetrical casting can be made easily with the help of sweep pattern. Sweep pattern consists of three parts spindle, base and sweep which is wooden board. 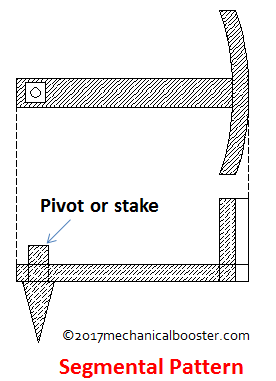 Spindle is directed in vertical direction and base is attached with sand. Circular discs, wheels, large kettles are produces by making use of sweep pattern. It is very difficult to remove one piece of solid pattern which is above or below the parting plane having projections from the mold. With the help of loose piece types of patterns projections can be made by loose pieces. It requires skilled labor work as well as it is very expensive. 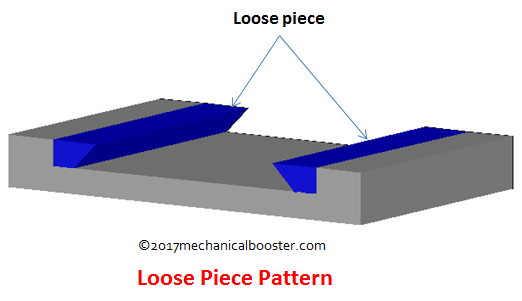 There is one disadvantage of this loose piece pattern is that their shifting can be done due to ramming process. 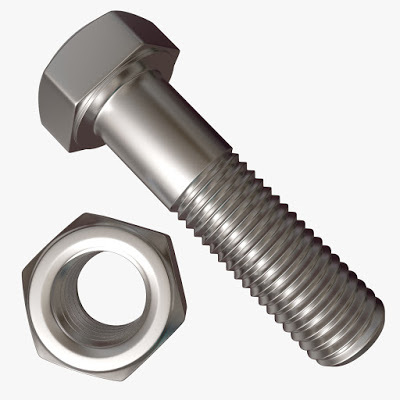 1) In the production of axle pin. 2) Loose piece pattern is used in the rotor hub. 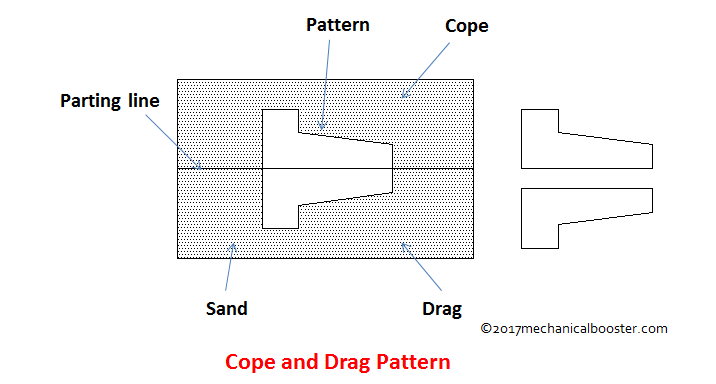 Cope and drag pattern is a split pattern. This pattern has cope and drag on separate plate. Cope and drag pattern has two parts which are separately molded on molding box. After molding parts, these two separate parts are combined to form the entire cavity. Cope and drag pattern is almost like two-piece pattern. This pattern types are used in the production of large castings where the molds are very heavy and unhandy for a user. 1) This pattern is used in building flange pipe. 2) Cope and drag pattern is used in water jacket which is an important component of JCB. 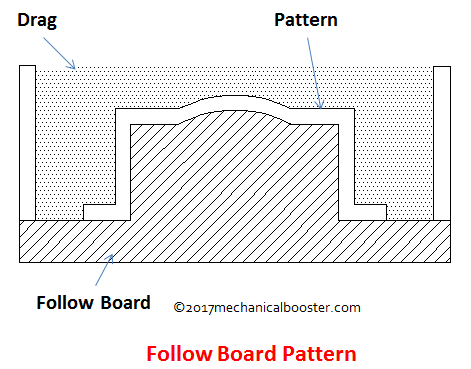 Follow board pattern consists of tool that is a simple wooden board which is used for several reasons. The wooden board is used as a base in follow board pattern for molding process. This pattern is used in processes where casting structures are weak and they may break after the application of force. This pattern is used for casting master pattern for many purposes. It is just a similar to that of sweep pattern. The working structure of segmental pattern and sweep pattern is almost similar. 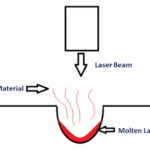 For designing require shape or structure of mold they both employ a part of pattern. As the name suggest segmental pattern is in the form of segments and used for molding circular or round structures. In sweep pattern there is complete rotation but in segmental pattern there is no complete rotation. For creating mold, we can rotate partly to get required output. 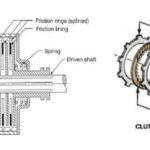 Segmental pattern is used for constructing circular structures like wheels, rims, pulleys etc. 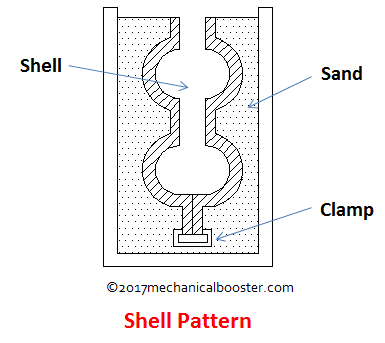 Shell pattern is specially used for obtaining hollow shaped structure. Along the center the parting process is done. The resultant halves produced after parting are both doweled. In casting, above mentioned patterns play crucial role. So we have to decide which pattern we should use according to requirements. 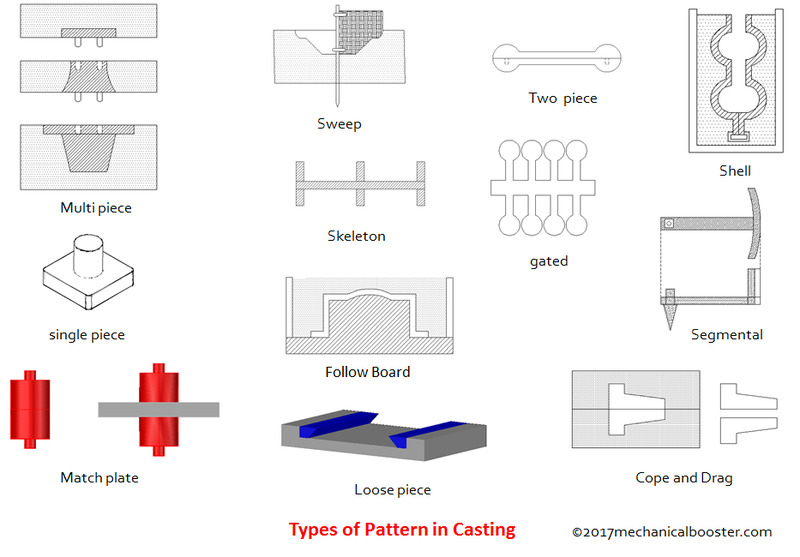 This is all about the different types of patterns in casting process. If you like this article than don’t forget to share it for others.